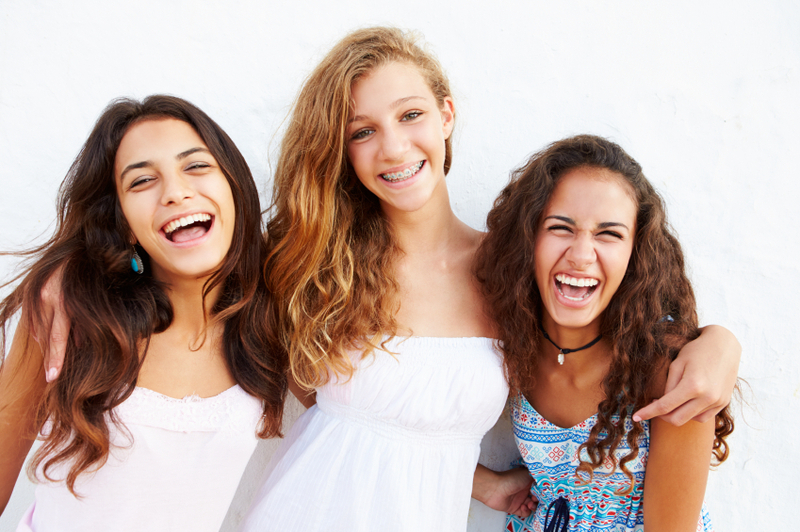 If you’re currently wearing braces, you’re no doubt looking forward to the day they finally come off and you’re free of brackets, bands and food restrictions. When that happy day arrives and you’re finished with the active portion of your orthodontic treatment, you’ll enter the next phase — retention. Once you’re in this critical phase, you’ll need to wear a custom-fitted appliance called a retainer. Are Retainers After Braces Really Necessary? In one word, yes. Wearing a retainer as directed by the doctor after your braces are removed is an extremely important part of your orthodontic treatment. Now that your braces have done the work of moving your teeth into their new positions, the tissue and periodontal ligaments that surround them need time to regenerate and readjust. Right after your braces come off, it’s vital to wear your retainer to keep your teeth in the correct position while this adjustment takes place. Afterward, wearing your retainer as directed prevents your teeth from shifting back to their original locations. There are several different kinds of retainers, and the doctor decides which type will work best based on your individual needs and orthodontic treatment plan. Usually, impressions are taken to fit you for a retainer the same day your braces are removed so you can begin using it as soon as possible. This type of retainer consists of a thin arch of acrylic that’s customized to fit behind your teeth, with an attached wire that clasps the front of your teeth to keep them in the proper position. These durable retainers are easy to remove for cleaning, and they’re adjustable so the doctor can make corrections for any minor tooth movement. These retainers are custom molded to fit precisely over your teeth. Made from thin, transparent plastic, this type of retainer is virtually invisible and it’s easy to remove and clean. A clear plastic retainer generally isn’t as durable as a Hawley retainer, though, especially if it’s worn 24 hours a day, and it’s not usually recommended if you grind your teeth. These retainers consist of a wire that’s bonded to the back of the teeth. A permanent retainer is often used on the lower front teeth or if there’s a greater risk of your teeth moving back to their original positions. In some cases, the doctor may fit you with a permanent retainer after braces, then switch you over to a Hawley or clear plastic appliance after the first few months. Although they’re not removable, permanent bonded retainers aren’t visible either. Food can easily adhere to your retainer and allow bacteria to flourish if you don’t keep it clean. Thoroughly cleaning the device is easy to do if you have a removable Hawley or plastic retainer — simply take it out and brush it regularly with your favorite brand of toothpaste. When necessary, you can soak the retainer in a denture-cleaning solution to loosen any stubborn debris. If you’re fitted with a permanent retainer, you’ll need to use threader floss to remove any trapped food debris, and brush it regularly with toothpaste to keep it clean. At Kapadia Orthodontics, our goal is to help you achieve the smile you’ve always wanted. If you have any questions about the different types of retainers and how to keep them clean, contact our friendly staff or call 407-366-3300 today!